Its your lucky day! You have found one of the best websites for ShoreTel Telephones or ShorePhone IP equipment. We are located on the East and West coast of the US. So when you purchase ShoreTel equipment, It usually goes out the same day. Your have many shipping options as well. If you are looking for Great Customer service, Great Pricing and and a commitment to quality on all telephones that we sell from ShoreTel. We here at Craig Communications truly believe that if you are not happy, we are not happy. Its that simple. We have been in business for over 18 years and we love what we do and it shows. Check out some of our testimonials. If you buy ShoreTel Telephones or Shorephones and are not happy, we will whatever it takes to make you a happy customer. There are four reasons why you would be on this ShoreTel page. One would be that you are adding ShoreTel Telephones to your system. If so, we carry most of the ShoreTel Telephones. We just don't list them all. We only list the most popular telephones. Call if you need pricing and availability. The second reason would maybe be that one of your telephones is defective and you need to replace it. Well, you came to the right place for that as well. Just call us with the exact ShoreTel model number of the telephones you are looking for and one of our sales representatives will assist you with your order! Call today 800-306-3377. The third reason is that you want us to repair you telephones to keep your cost down. Well, Craig Communications can do that as well. 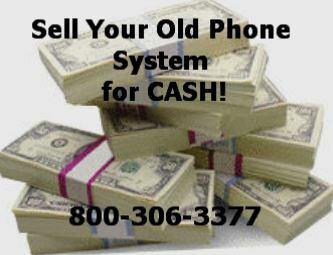 Call today or go to our REPAIR Page for details on how to send you telephones in for repair. The final reason you would be on this ShoreTel Telephones page would be to sell your system to us. Craig Communications can help you with that too! Go to our SELL YOUR PHONE SYSTEM OR TELEPHONES PAGE and email us a detailed ShoreTel inventory list of what ShorePhone IP Units you are selling. One of our purchasing representatives will get back to you with a bid on your telephones or system. ShoreTel and ShorePhone IP telephones are one of our newest brands added to our Craig Communications family. It has become so popular with our customers that we decided to buy and sell all the ShoreTel Telephones, products and ShorePhone Components. So why not give us a try on your next ShoreTel purchase of telephones or components. We will not let you down. We pride ourselves on our first rate customer service. Call today! 800-306-3377. Telephones at a price and quality that cant be beat! Find a Great Deal on ShoreTel Phone IP phones or other ShoreTel Telephones or Shoretel components. Do you need a spare ShorePhone? Are you replacing a defective ShorePhone or other ShoreTel Telephones or components? ShoreTel has been taking over the market share in the telecom industry for the past few years. The Telephones are ofter referred to as a "ShorePhone". Most customers are dumping their old out of date telephones and systems and moving to a ShoreTel IP solution. Telephones and Telephones and more Telephones! Call TODAY! 800-306-3377 for a ShorePhone. ShoreTel Telephones and ShorePhone IP-We Buy and Sell The Latest in ShoreTel Phone System Equipment. Step into the future TODAY with Telephones from ShoreTel!!! Craig Communications offers the most affordable business telephones or systems on the internet along with an enormous inventory of telephones, telephone systems and accessories. Fill out an order form and we'll contact you to get any other order information and make payment and delivery arrangements. Purchase your ShoreTel phones right online or contact us at 1-800-306-3377 for further information.